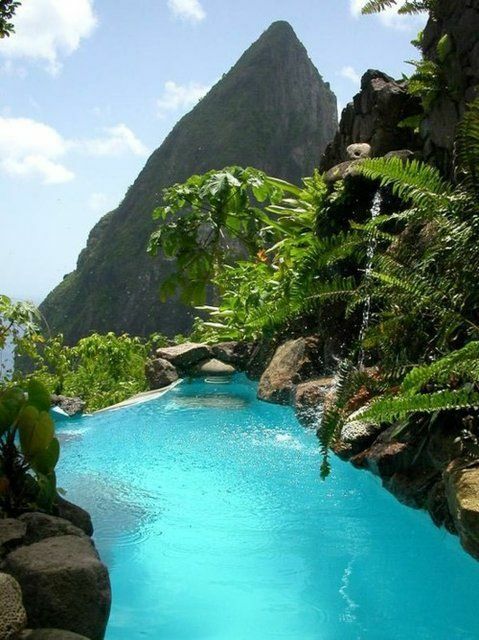 Saint Lucia is a sovereign island country in the eastern Caribbean Sea on the boundary with the Atlantic Ocean.Part of the Lesser Antilles, it is located north/northeast of the island of Saint Vincent, northwest of Barbados and south of Martinique. It covers a land area of 617 km2 (238.23 sq mi) and has a population of 174,000 (2010). Its capital is Castries. One of the Windward Islands, Saint Lucia was named after Saint Lucy of Syracuse by the French, the island's first European settlers.. They signed a treaty with the native Carib Indians in 1660. Britain took control of the island from 1663 to 1667; in ensuing years, it was at war with France 14 times and rule of the island changed frequently (it was seven times each ruled by the French and British). In 1814, the British took definitive control of the island. Because it switched so often between British and French control, Saint Lucia was also known as the "Helen of the West Indies".